Come join us for the $100 cash prizes in the cosplay contest! So come dressed as your favorite barbarian, elf, fairy, wizard, troll or knight. We do ask that entrants stick to a historical or fantasy theme. Also awards go to “most popular” and “most creative” costuming effort. Cosplay is becoming a world phenomena and when the Great Plains Renaissance Festival goes cosplay we go medieval! Registration now open! 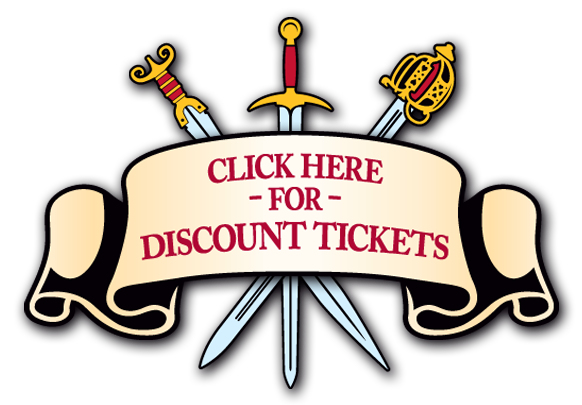 All entrants must have a Great Plains Renaissance Festival ticket valid for the date of the Medieval Cosplay Contest. Entrants into the Costume Contest must be over the age of 16. Minors must have parents’ permission to enter to contest. Contest Portion: All entrants/groups should include reference picture(s) of the character(s) they are dressing as in addition to one or more progress picture(s) that show which items the entrant/group actually made. (reference and progress pictures are necessary for the judges to give proper scores for accuracy and craftsmanship). Anyone who does not show up for rehearsal on time will be disqualified. Rehearsals are for costume judging and running through technical requirements. Please come prepared. Judging will be based on costume accuracy, craftsmanship, stage presence/performance, and overall impact. To sign up, the entrant or group must fill out a Sign Up form and email it to info@greatplainsrenfest.com. The deadline for entry is Midnight April 22nd, 2016. All entries will be taken at a first come first serve basis to be determined by the time stamp on the email. If all slots for the Stage Display are not filled prior to the start of the convention, a few in person registrations may be allowed on Sunday April 24th, 2016 at the Costume Contest’s Staff’s discretion. If allowed, late entrants must still follow all rules and be fully prepared for judging. Costumes and should not go beyond PG-13. This is a day time event so children may be present. If you have questions about what content is allowed please ask the Costume Contest Coordinator. You may surprise the audience, but NEVER SURPRISE THE STAFF. Weapons must be able to pass the weapons check and be peace bonded. No messy substances—wet, dry, or oily—, flames or other hazards. No jumping on or off stage. Please only use the officially designated stage entrances and exits. Stage hands will be present to assist performers on and off stage if necessary. All entrants must arrive at the stage 1 hour prior to the beginning of the Costume Contest. This time will be used to go over the rules and to judge craftsmanship. Entrants must stay for the entire time (Judging hour + Costume Contest) to be eligible for any awards. All costumes should be made by the entrant(s) and all parts not made by the entrant(s) must be credited to their appropriate creators on the entry form so that credit can be given. Purchased costumes/items may only make up 40% of the overall look (individual or group entry). The purchase of wigs is excluded from the 40%. All entrants should include at least one reference picture of the character(s) that they are portraying with their application. In the case of a group, please include one picture per member/character. Without pictures entrants may lose points for accuracy if the judges are not familiar with the character(s). All entrants should bring at least one progress picture or some other proof of the costumes origin to the judging period prior to the actual costume. If this proof is not provided the entrant(s) may lose points for craftsmanship. The Great Plains Renaissance Festival reserves the right to adjust the contest rules at any time. By checking the above box, you are confirming that you have read the show rules and regulations, and understand the stipulations. Great Plains Renaissance Festival staff may not be held accountable if you have failed to do so.